Victor Osimhen has vowed to score more goals for Sporting Charleroi even if it means being selfish to achieve his ambition. The 2015 U17 World Cup winner joined Sporting Charleroi on loan from Wolfsburg in the summer transfer window and has since netted 5 goals in 7 games across all competitions, with no assists to his name. 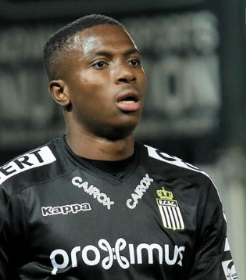 ''It was a very special feeling to score twice for Charleroi with such an atmosphere in the stands and with a great scenario,'' Osimhen was quoted as saying by Voetbalkrant. ''To score and to continue to believe, that is my job. Osimhen has attracted interest from a couple of teams in Europe on the back of the brilliant start to his career in Belgium but Sporting Charleroi can make the move permanent at the end of the 2018-19 season if they meet Wolfsburg's 3.5 million euros asking price.